We just got the chance to see Disney's Moana, and we absolutely loved it! The music, the story - everything about this movie is perfection!! We can't wait to own it on DVD (March 7th!) and already have the soundtrack playing non-stop. 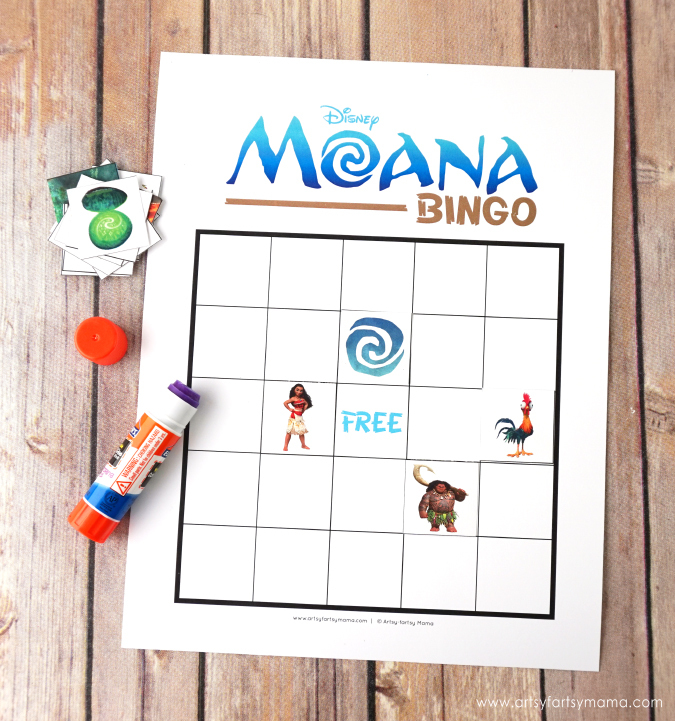 For those who also love Disney's Moana, I've created a Free Printable Disney Moana Bingo for you to play and celebrate this fantastic movie! 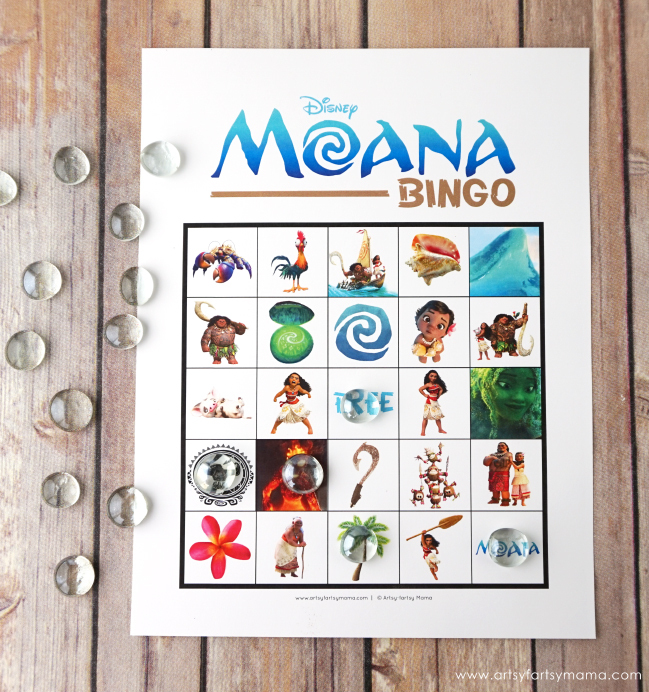 Moana Bingo includes all of your favorite characters, including Moana (of course), Maui, Pua, HeiHei, as well as a few new ones you might not recognize yet if you haven't seen the movie! The bingo set includes ten bingo cards, so it's easy to print and use for parties. It's fun for every age to play, and the calling cards include the names of the characters in case you don't know who they are. Thank you for this bingo game! We will use it for my daughter's birthday party. You are awesome! thank you so much for this! will use it at daughter's bday party! Thank you so much, hope the kids enjoy it. Thank you for posting this! My class is finishing a unit on "Moana," and we're in desperate need of a rainy-day activity for today.